Stellwagen Bank National Marine Sanctuary and NOAA offer a variety of opportunities for student participation. These contests may be organized solely by the sanctuary, by NOAA, or in cooperation with partnering organizations. 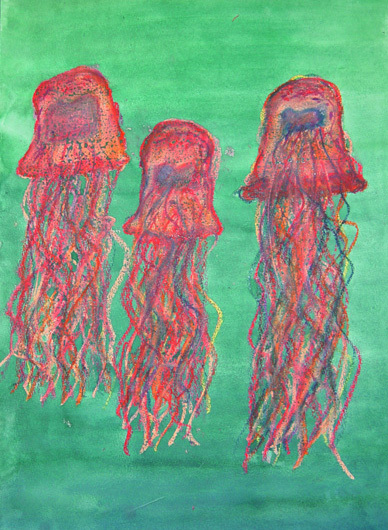 The Annual Marine Art Contest, sponsored by the Massachusetts Marine Educators, the sanctuary, the New England Aquarium and several other groups is now open. Students are invited to submit artwork that illustrates this year's theme - "Amazing Ocean Creatures of Stellwagen Bank National Marine Sanctuary and the Gulf of Maine." All media are allowed; please refrain from sending collages with sand or other fine attachments. There will be a winner, second place and third place in each division. Contest prizes include passes to the New England Aquarium, the Harvard Museum of Natural History, cash, gift certificates, and other items. Click here for a pdf flyer about the contest.